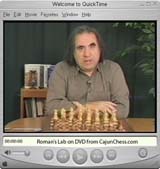 In Volume#33, Roman will teach you how to master the opening. of combating this most fearsome of Black's answers to 1.e4. Play centers around the line 1.e4 c5 2.Nc3 Nc6 3.f4 and a Black doubled c-pawn complex.